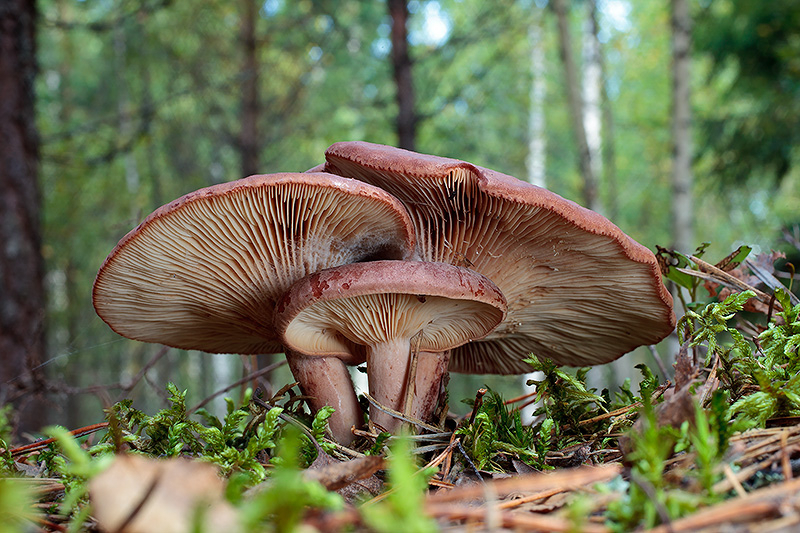 We usually walk upright in the mushroom forest. Even if we find the time – or some other reason – to crouch down, we still see the forest with a human’s eyes. 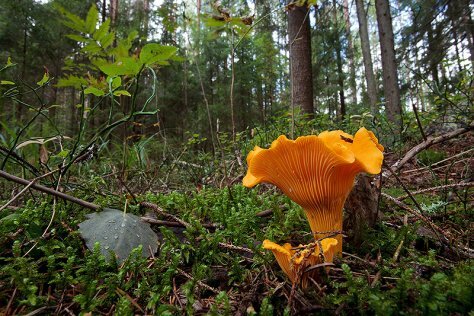 But besides crouching it is truly beguiling to watch the mushroom forest lying on your stomach, as if through the eyes of a dor beetle. You know – the darkly blue-gleaming, sturdy-legged beetle that lies in wait of us on forest paths, in moss or near mushrooms. We met the dor beetle when it eyed a deadly webcap cap from the cap of another deadly webcap. 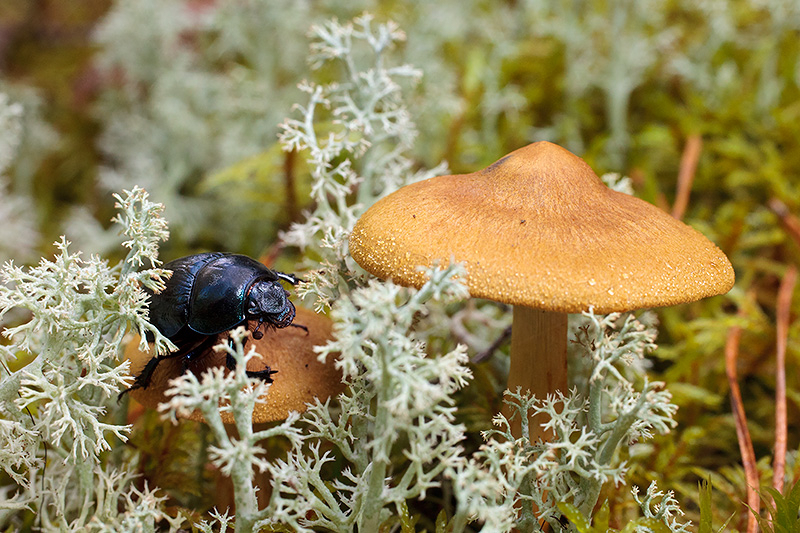 Dor beetle on deadly webcap (Cortinarius rubellus) cap. 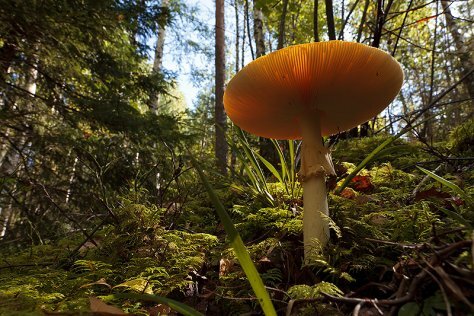 We too started to study the mushroom forest as a dor beetle would. And how fascinating it all turned out! The trio of rufous milkcaps suddenly changed into a bus stop shelter. Interesting: who might be the bus for a dor beetle? The forest floor with fly agarics was like a beach with sun parasols. It was a quite sandy hillock, but all the same a magic mushroom forest. The chanterelle is our mushroom classic. Domestic warmth, a taste of home. We saw that the dor beetle tried to bury mushrooms in the soil for its offspring too. So probably mushrooms are something home-like, something permanent for the dor beetle too.